Classes are pay as you go at $10.00 per a two hour session. Every other Thursday: 6:00 p.m. – 8:00 p.m.
Saturday: 1:00 p.m. – 3:00 p.m.
Everyone works on their own project of choice, and it’s my job to make sure you understand how to read the pattern, create the design, and troubleshoot any questions you have. It’s fun seeing what everyone is making to give ideas for your next project. All levels from beginning to experienced are welcome and combined together make classes more fun. Workshops are held during the year on a specific subject. There’s a description of the class, what you need to be able to do in knitting or crochet to accomplish the project, and the cost of class and materials are listed up front. You’ll be required to register for workshops, and there will be a three person minimum to hold the class. Call for more information about our workshops! 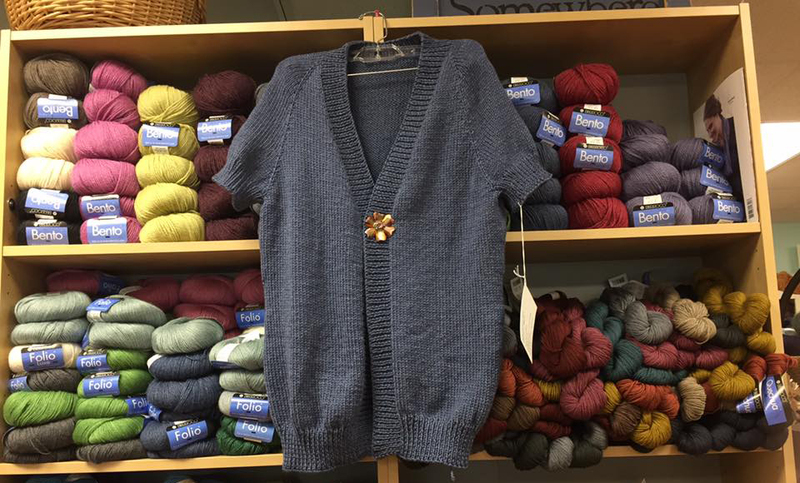 Tuesday through Friday from 10:00 a.m to 5:00 p.m., we offer open knitting. This means that you can come and sit with us to knit, ask questions, learn a new stitch, or whatever you need. There’s no charge to do this. Help is always free at the shop, and having fun is always number one. Come and join us, bring a drink or snack, and sit a while at “The Table of Knowledge,” which was named by one of our customer’s husbands. It’s about fun and friendship, whether new or old. Hope to see you soon!